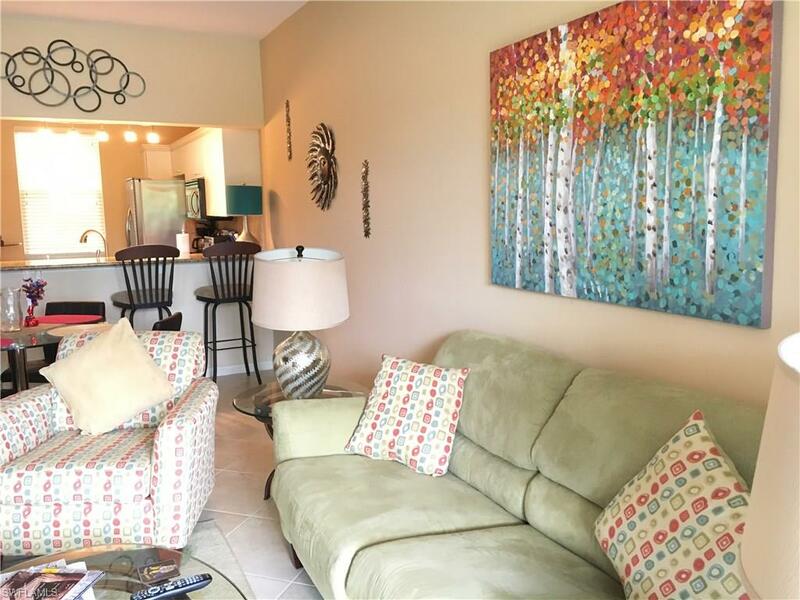 You will enjoy this first-floor, 2+den-bedroom, two-bath condo. (3rd bedroom has futon and dresser) The kitchen has been renovated with stainless steel appliances and granite counter tops, all neutral color tile floors throughout, newer air conditioner, newer HD TV, newer furnishings, storm shutter on the lanai, one-car detached garage, private lake views. Unit 102 is within walking distance to the clubhouse and pool, basketball, tennis and pickle ball courts, clubhouse library and Sherwood is conveniently located close to Old Naples, the white sandy beaches along the Gulf of Mexico, Marco Island, Venetian Village, the Waterside Shops and I-75. LISTING PROVIDED COURTESY OF Poogie Cooper , Downing Frye Realty Inc.